I received a pair of the Tralyx Sunglasses from Rudy Project this past season and have been testing them throughout the road and cross seasons as well as out on the trails. Rudy Project is a team sponsor so I have had the opportunity to try out a variety of their sunwear. The Tralyx came with the photochromatic clear to black lens. I really love the photochromatic lenses that are available today but there are a few drawbacks to the technology that you should be aware of before purchasing a set. I discussed the benefits and disadvantages behind the technology in this article. These are definitely the most comfortable sunglasses I have worn. 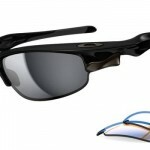 I have always found Rudy Project optics to be top-notch; these lenses are no different. There is no discernible distortion in these lenses while clarity, color, and depth perception are all on par, or better, than other comparable brands. The Tralyx frame and lens offers a great field of vision; there is nothing to obstruct your field of view and the lenses wrap far enough around the face to pretty much eliminate any light bleed from around the edges except if you are at the extreme limit of your periphery. Changing the lens is quick and easy. The nose-piece comes off with a gentle pull and the lens pops out of the frame from each corner. 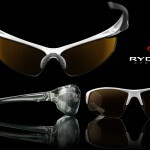 Rudy Project offers various lens options for the Tralyx. Various tints, photochromatic, and polarized are all options and the frames come in various colors to suit your preferences, or team colors. The Tralyx is light, very light. In fact, it is very easy to forget you have them on. Once they are on they more or less just disappear. At 28 grams they are not the absolute lightest Rudy Project has to offer as they have a couple of models that come in 2-3 grams lighter, but they are as light or lighter than most of their frames. 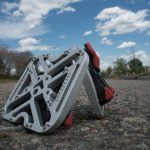 The Tralyx is extremely comfortable to wear. They fit light on the nose and ears eliminating pressure points that you can sometimes get with frames at the bridge of the nose or on the temples. In fact, they are light enough on the face I was initially worried they might not grip tight enough to remain in place, but that has not been an issue at all for me. They stay in place without feeling like there is a vice clamped to your temples which makes them a pleasure to wear all day long. The only issue I have noticed is if I want to slide the sunglasses up and wear them on my head. 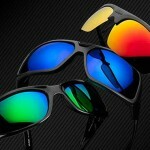 They are a bit more prone to slipping off when tilting the head forward or back, than some other sunglasses. I am sure this is the trade-off for the light touch when wearing them over the eyes. However, it is more of an FYI than a major issue, it has had no bearing on my choice to wear or race in them. The nose piece easily adjusts to a wider, or narrower, stance depending on personal preference and fit. A quick pinch will narrow up the nose piece a bit while pulling them apart adjusts for a closer fit to the face. I like the shape of the nose-piece, it seems to transfer pressure across a larger surface area lending to a more comfortable fit. I also feel like the larger footprint of the nose-piece (compared to some sunglasses with a smaller point of contact between the nose pads and the face) contributes to the secure yet light fit. The frame/lens combo has great ventilation. Cut-outs along the entirety of the frame and on the outside edge of the lens, offer great airflow without directing too much air onto the eyes. The lenses, up to this point, have not had any issues with fogging. The Rudy Project Tralyx comes in three different sizes to fit a wide range of faces. 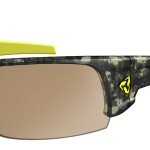 The Tralyx ranges in price from 225.00 to 274.00 depending on which frame/lens combination you choose. Spare lenses come in at 65 and 85 for various tints or 105 for polarized and photochromatic lenses. However, Rudy Project is known for launching sales often so we suggest signing up for their mailing list to take advantage of their discounts. The bottom line is these have become my favorite, go-to sunglasses to wear on and off the bike. I liked them so much I bought a second set of polarized lenses to use with the frames. 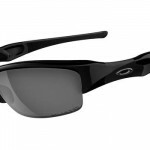 The feel and performance are great; these are definitely the most comfortable sunglasses I have worn. If you are looking for a top-performing sunglasses option for riding, racing, or for everyday use, these will serve you well.